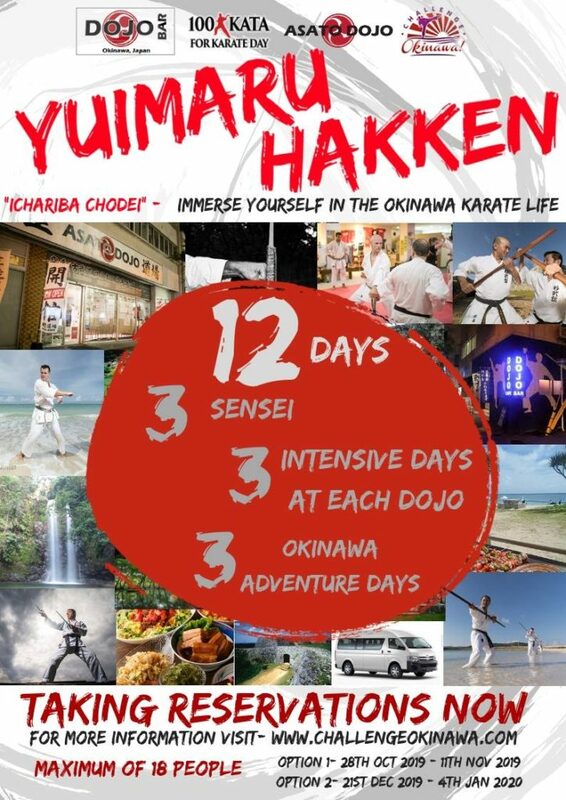 The “Yuimaru Hakken” seminars start this year (2019). In Okinawan “Yuimaru” refers to the circle of the people, the connections between people and “Hakken” is discovery. 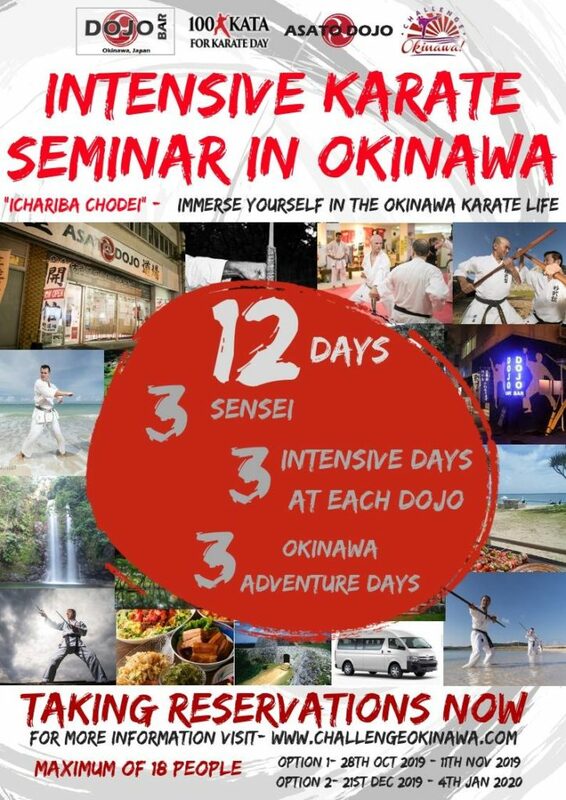 We intend that this seminar program will give you the opportunity to discover the Okinawan fighting arts, get to know highly respected teachers and experience the culture of the Okinawan islands. Each seminar is a 12 day program including 3 days of intensive study with each of 3 Okinawan teachers PLUS 3 days of additional activity days to discover more of exciting and beautiful Okinawa. Hi, I’m James Pankiewicz, Matsubayashiryu karate practitioner on Okinawa, founder of The DOJO Bar and more recently the Asato Dojo. I have been living here in Okinawa for almost 10 years now enjoying the ‘Okinawa Karate Life’ – training, learning and living the traditional values of Okinawan karate. I know I’m very fortunate to be able to enjoy this and deeply believe in the benefits of sharing opportunities to learn in Okinawa with others from around the world. The DOJO Bar was established in this spirit and the international 100 Kata Challenge events I started in 2014 are a way for many thousands of practitioners worldwide to connect with Karate Day in Okinawa every year . Now, I’m very pleased to announce this new seminar program in Okinawa designed to give you more than most regular seminars here. Please follow this link or click on the poster images below for more information and to reserve your place.